This is the primary treatment option recommended to treat OSA. 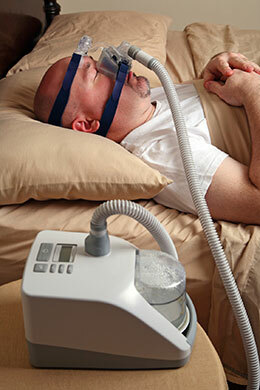 However, many patients are not able to tolerate the CPAP mask due to claustrophobia, discomfort, headaches, inability to fall asleep or from skin irritation side effects. Various oral appliance devices, fitted by a dentist or other oral specialist and worn in the mouth at nighttime during sleep, are basic and commonly-used sleep apnea treatment options which are an alternative for patients who are either not willing to use, or who do not tolerate, using a CPAP mask.